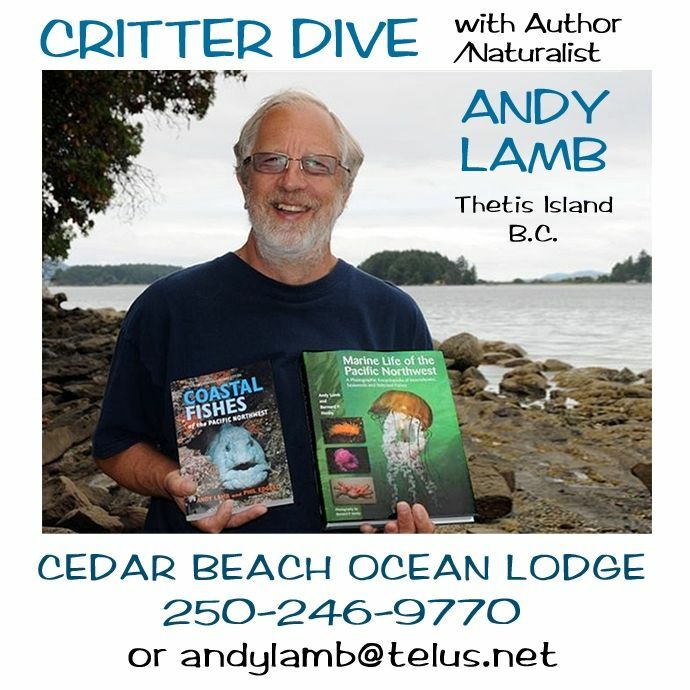 Andy Lamb, author and naturalist will give a presentation to our club about Pacific Northwest fishes with a bit of information about British Columbia diving and the Cedar Beach Ocean Lodge on Thetis Island. Andy was born in Vancouver, was certified by NAUI in 1967 and has almost 3000 logged dives. He holds a BSc in Zoology from the University of British Columbia and has worked at the Vancouver Aquarium from1966 to 2004 in various positions including temperate water aquarist and chief collector, and school program coordinator in charge of wet lab programs. Andy is the co-author of Coastal Fishes of the Pacific Northwest, and Marine Life of the Pacific Northwest. Currently, he is the owner/operator with his wife Virginia of the Cedar Beach Ocean Lodge on Thetis Island, BC. Please consider registering if you plan to attend so that we know how many of you to expect. This will also facilitate finding someone to carpool with.